BGPKiller is an ad killer (or blocker) for your Avira Antivir antivirus. The application is designed to stop popup windows (i.e. ads) coming from Avira. It monitors the unwanted Avira processes responsible for ads, and silently kills Avira popups and ads before they show up. 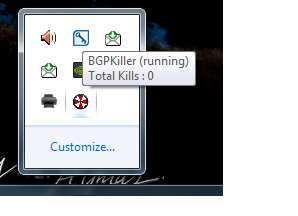 BGPKiller runs alongside Avira Free Antivirus, in your System Tray, and tells you each time it kills! And the best thing about it, ... it is free! The Avira Free antivirus (Free edition) is known for its very good virus detection rate and reliability. This is one of the best antivirus on the market. However, it is also known for its annoying popup ads. But because this is such a good antivirus, these ads were usually tolerated by their users. However, in late 2014, a new bug made these ads even more unbearable : the CPU usage often reached 100% after an ad was displayed! And closing the Avira ad window was not enough. The only way to stop this high CPU usage was to manually kill the problematic ad processes or reboot the computer. If you didn't, your CPU could overheat to the point to affect your computer's longevity. This was obviously a very serious bug! So I decided to write this small utility to monitor and kill all unwanted Avira ads. This way, I solved this bug and made sure my CPU would not overheat because of Avira ads. But as an added benefit, I realized how great it was to never see Avira ads anymore!! No more ad windows popping up; no more having to manually close individual ad windows! I had no clue how much better this antivirus was without all these annoying ads! BGPKiller is a freeware tool. As an individual, you are allowed to use it anywhere you like (at home or at work), assuming it remains for personal use. Corporate deployments are not allowed, unless otherwise authorized by the author in writing. 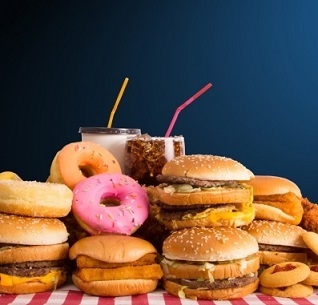 You cannot bundle it with your own commercial application and you cannot sell it in any way, shape or form. You're not allowed to reverse engineer, decompile, disassemble, modify, adapt, create derivative works from or otherwise attempt to derive source code from this software tool. 1,880 4,917 AviraJoe <img src="https://www.oldergeeks.com/downloads/gallery/thumbs/BGPKiller_th.png"border="0"> Aug 09, 2018 - 20:12 0.96 384.3KB EXE , out of 26 Votes.